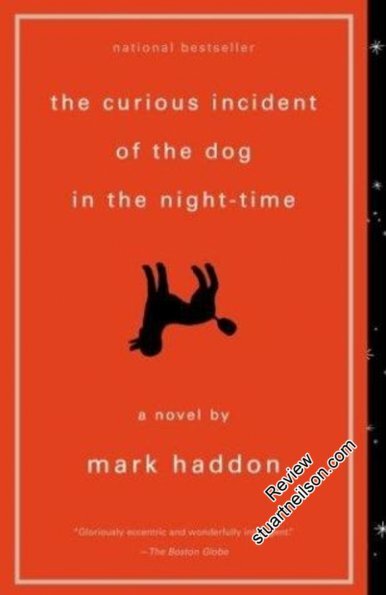 Haddon, Mark - "The curious incident of the dog in the night-time"
Christopher Boone is a self-described 15-year-old "mathematician with some Behavioural Problems" - he is never identified (within the book) as having autism, Asperger syndrome or savantism (although various book jackets have specified these diagnostic categories). Mark Haddon has repeatedly said that The Curious Incident is "not about disability but about difference", and that Christopher's "'behavioural difficulties' are not personal attributes but a function of his relationships". The book is a well-crafted novel exploring fractured families and the misplaced guilt and anger that people feel when they do not communicate. It would be deeply disappointing as a textbook on autism, but is very satisfying as a book on growing up within the messiness of real families and real relationships.